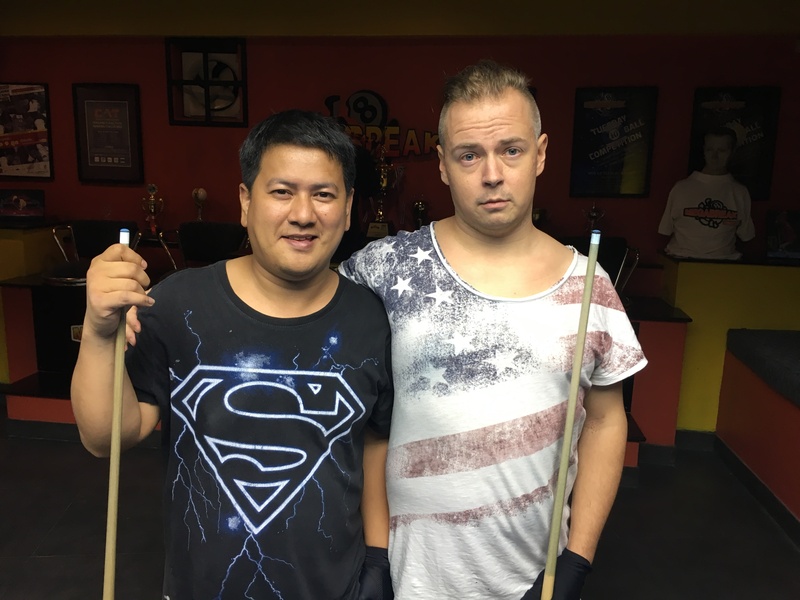 TUESDAY 10 BALL GRAND FINAL : JUSSI IS CHAMPION. Congratulations go to Jussi Rautio (A+6) from Sweden for winning our Tuesday 10 Ball Grand Final for Season 14 on Saturday night. 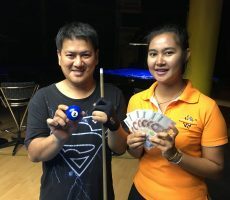 From the full entry of 16 players, he defeated Filipino hotshot Roland Garcia (Pro) in the final of the Double Elimination event to take home the 1st Prize of 10000 baht. 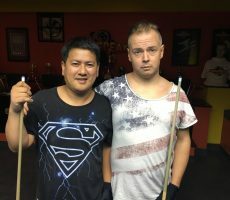 Jussi played some excellent pool on the evening and was a worthy winner. He remained undefeated throughout the tournament whilst winning five consecutive matches, finishing off in style with a comfortable 4-3 win (race 4-8) over Roland in the final. His handicap moves up to A+7 as a result. Roland also had a great tournament to finish in 2nd place. After losing his very first match on the evening, he would win six consecutive matches on the One Loss Side of the draw to reach the final, before running into an in form Jussi. 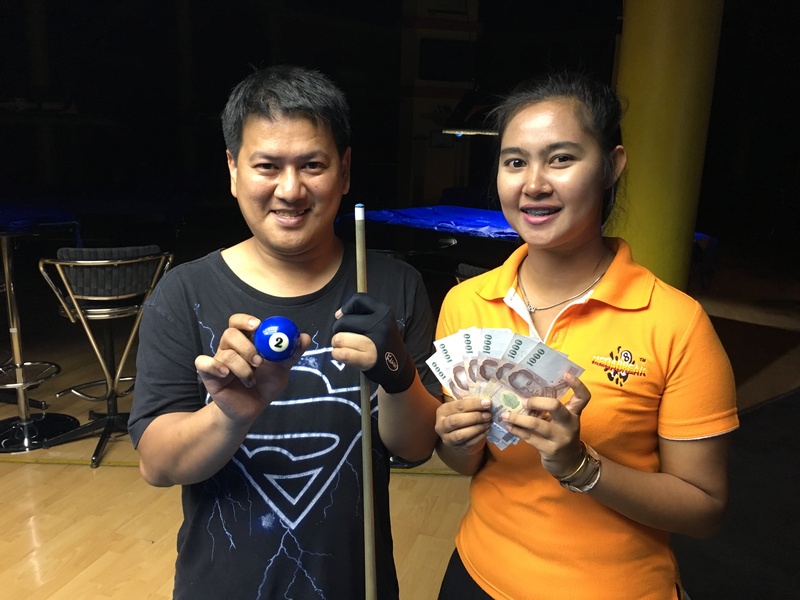 His consolation was 6000 baht Prize money as Runner-Up. 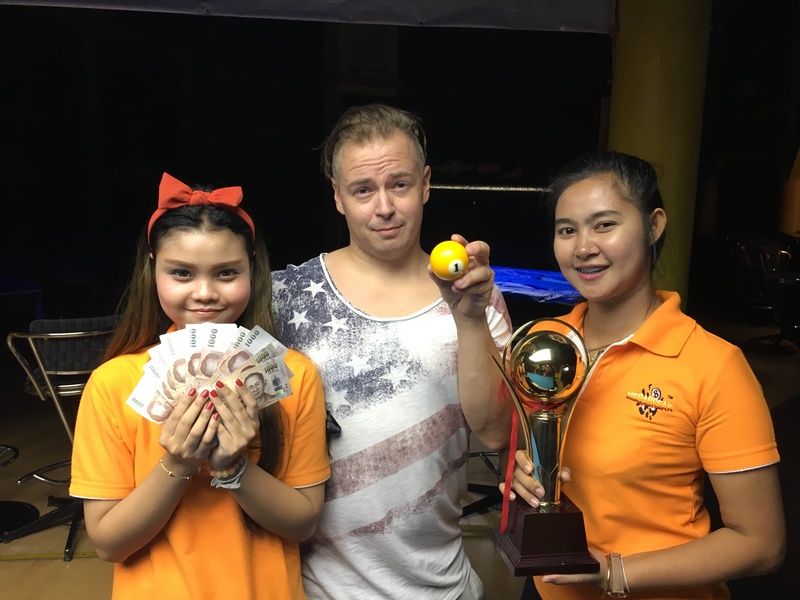 In 3rd Place was Scott Cooney (Pro) from England collecting 4000 baht, closely followed by Max Levi (A+9) from Russia in 4th, who received 3000 baht. 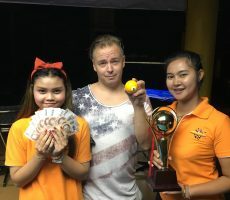 The other money winners on the evening were Rob Schnabel (A+8) from Germany and Mike Berezovsky (A+5) from The USA, who each took home 1500 baht for finishing in equal 5th place.